If you follow me on Instagram you may of seen that a couple of weekends ago I spent my Sunday having a relaxing spa day for my Mum’s 50th birthday as part of her present from my Nan and myself. As i’ve made it a goal to share more lifestyle content, I thought i’d take as many snaps of the day as I could and see if I had enough content to put together a post, of which luckily I did so I thought i’d share with you a little review of our day. For me spa days aren’t something I do a whole lot of however whenever I have booked a spa day I typically opt for spa deal websites and we booked our spa through Spa Breaks (not sponsored, just sharing) as they typically have some amazing deals and their operators are always on hand if you have any questions in regards to booking. Using their website I filtered to our desired location and essentially searched for spa days that had afternoon tea included and we stumbled across a deal at The Abbey Hotel in Redditch which was about a 30 minute drive away and after a little more research into the hotel itself we thought it would be ideal! 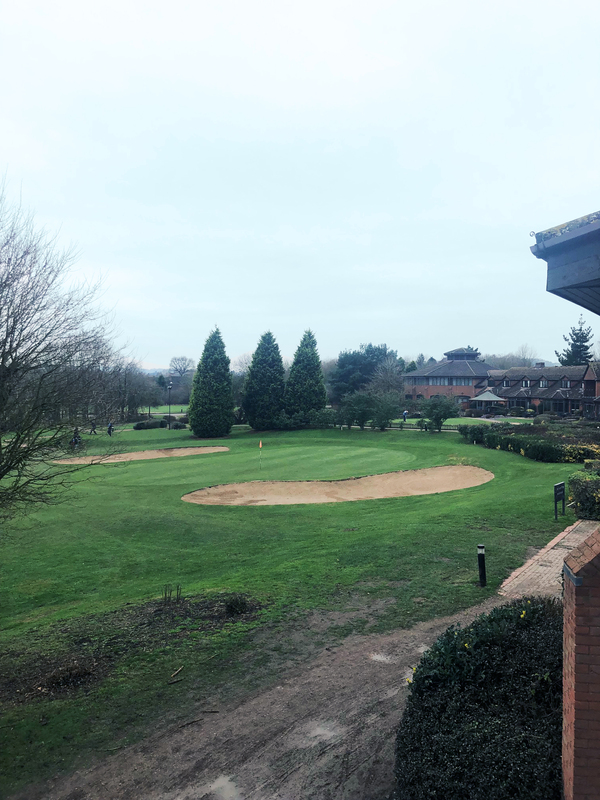 As mentioned The Abbey Hotel is situated in Redditch, not far from Birmingham and the surrounding west midlands areas, and is a 4* privately owned hotel sitting on 175 acres of land and is known for their massive (and I mean massive) golf course as you can see from the photo above. As well as their golf course they have around 100 rooms, spa and leisure facilities, events and conference rooms and a lot more making it a perfect venue for a lot of different reasons. On arrival we were greeted by the lovely Leisure facilities team who directed us around the leisure and spa facilities, gave us our robes, slippers and towels and then left us to our own devices to do as we pleased up until our afternoon tea and treatments. For our afternoon tea this was served in their terrace cafe and bar which has some incredible views of their 18 hole golf course and an array of food and beverages to choose from, and as we were on a spa day we were entitled to complementary coffees/teas throughout the day. 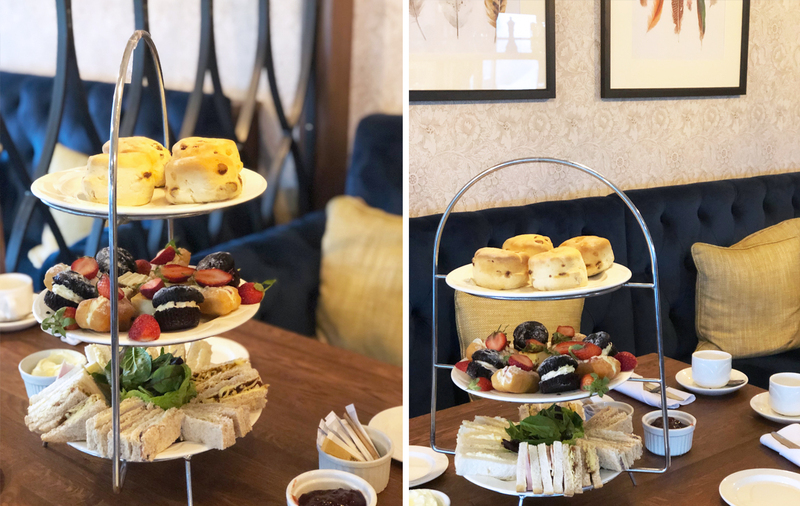 Similarly to any traditional afternoon tea ours was presented on a tiered stand with an array of sandwiches, cakes and of course scones because an afternoon tea isn’t complete without a scone! The afternoon tea itself was lovely and the cakes although were sweet were just light enough to not leave us feeling too stodgy afterwards. 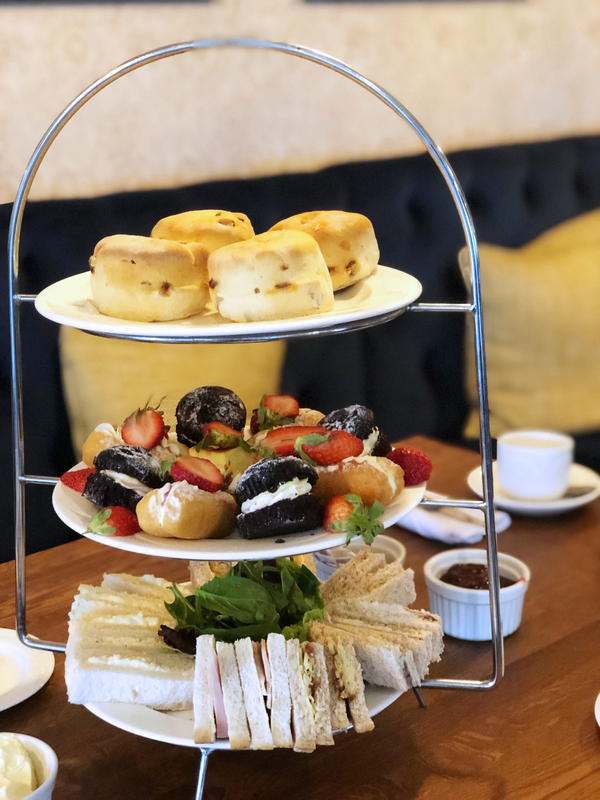 On first glance we thought that there potentially wasn’t enough food provided with our afternoon tea, but once we got stuck in we soon realised how wrong we were to the point where my Nan had to take her scone home because she was so full! 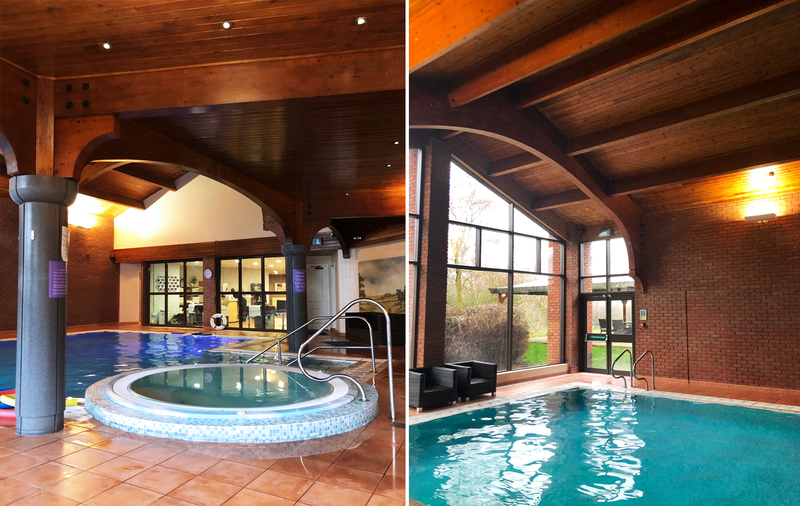 As part of our spa day package we were entitled to one half an hour treatment of which both my Mum and myself opted for the back, neck and shoulders massage of which we had done at the same time as they have a twin treatment room, as well as individual treatment rooms. Personally I loved my treatment as i’d not felt that relaxed in a long time. The lady doing my massage was great as she worked all the joints in my back and even got into a knot i’d had in my shoulder for while that i’d built up from the squat bar in the gym and although painful at the time it worked wonders! 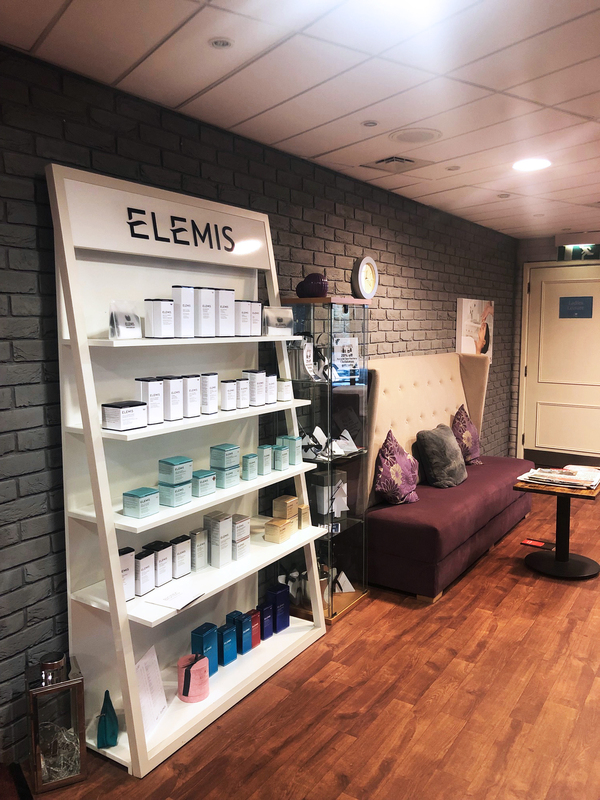 As well as the back, neck and shoulders massage that we opted for, they also offer other treatments such as manicure or pedicure, scalp, back and shoulder massage and also a facial all of which they use Elemis products for which I personally love, as i’ve used Elemis on and off for years. Finally onto the spa facilities themselves of which we relaxed in for a couple of hours following our treatments. Simiarly to other spa’s i’ve been to The Abbey Hotel has a swimming pool and hot tub area with sun loungers dotted around in order for you to relax and read a book or even have a nap if you want. The only minor let downs for us were that there was a very limited number of loungers and the hot tub wasn’t working properly on the day, but in all honesty it didn’t really matter too much. 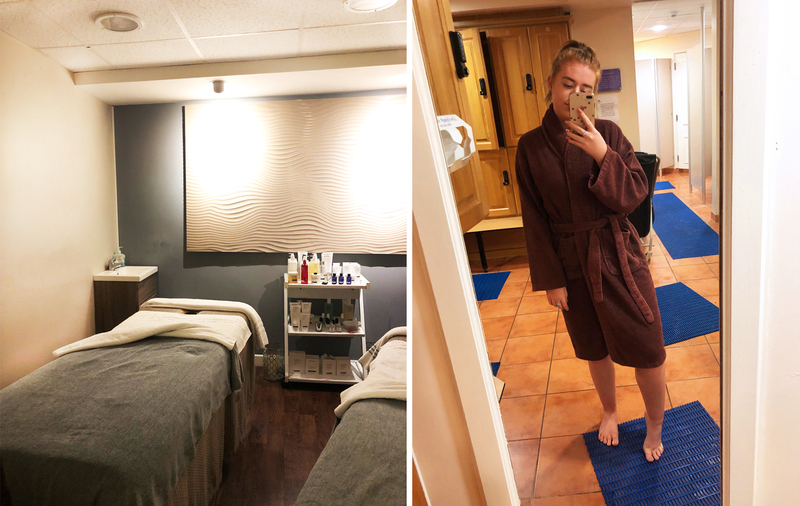 They also have the traditional sauna rooms, one wet and one dry and I love a good sauna as they really let all the toxins out and my skin really thanked me for having a good sauna session as it’s been so clear ever since! 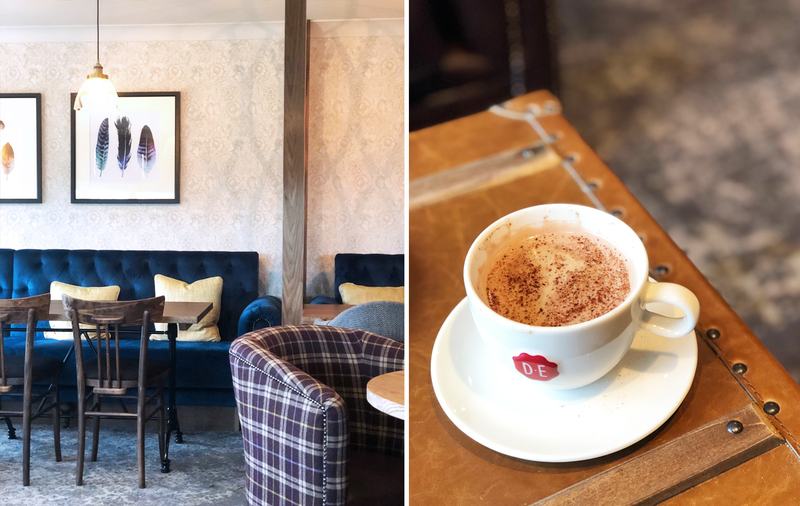 All in all we had a really lovely afternoon at The Abbey Hotel and i’d really recommend looking into them if you’re looking for a spa day within the west midlands area! Have you been on spa days recently?